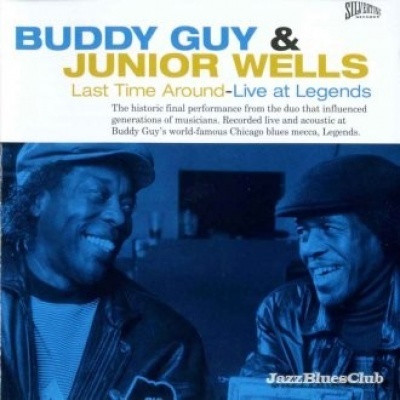 Last Time Around -- Live At Legends is a fitting farewell to the late, great Junior Wells and his partnership, friendship and kinship with Buddy Guy that lasted decades. The album is a historic release in many ways. It reunites two blues legends who began their unique association in the 1950s. The album was recorded live in March 1993 at Buddy Guy's world-famous Chicago blues mecca Legends, and it's an acoustic document of many classic songs that made both Wells and Guy legends in their own right, such as "She's Alright" and "I've Been There," along with other classic blues standards such as "Hoochie Coochie Man" and "Key to the Highway," all delivered with a looseness and power that define both Guy and Wells. It also marks the last time the two ever played together.